Homeowners can already have a difficult time when it comes to making their basements feel bright and welcoming. Unless your basement is a walk-out basement, the windows probably are window wells that can definitely remind you that you’re in a basement. Window wells are a necessity when it comes to functionality and home defense, but they can definitely take away from the aesthetic of your home. 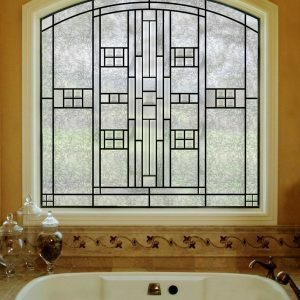 Custom stained glass can transform your basement while hiding window wells. Basements can inherently feel dark and dingy lending an unwelcoming feel even if the decor is done beautifully. In order to get that bright, welcoming feel to transfer from the rest of your home, bringing in natural sunlight is key. Custom stained glass allows homeowners to bring in significant sunlight into their basements while still offering privacy and the ability to hide your window well from the inside. By installing custom stained glass in your basement, it’ll completely transform your basement by offering natural sunlight, beauty, and privacy. 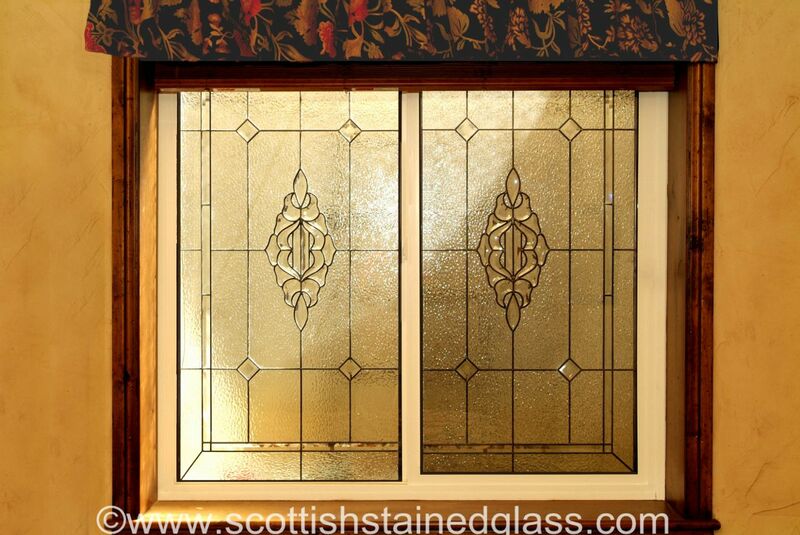 Homeowners can add anything from contemporary to traditional stained glass. Custom designing your stained glass allows you to complement the rest your decor while adding a statement piece. Custom stained glass is also a great addition to basement bars, entertainment centers, and any cabinetry you may have located within your basement. Perfect for display cabinets, stained glass adds a timeless look in showcasing bar glasses, art pieces, entertainment media, and much more. From intricate designs to simplistic looks, adding custom stained glass to different basement features can really improve resale value. All you need is some creativity and the dimensions of your basement window in order to get started on custom designing your basement’s stained glass masterpiece. 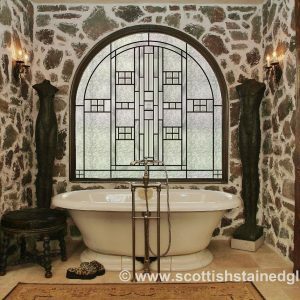 Our custom builder allows you to design your one-of-a-kind stained glass feature from scratch. If there is a certain style or design you’re looking for and the custom builder isn’t mimicking that just right, feel free to contact us! One of our stained glass artisans would love to work directly with you to create the perfect stained glass addition for your basement. For more information regarding custom stained glass for your basement, please contact us!